Wedding season is upon us, folks, and if your bride and groom to be are foodies like yours truly, I thought it would be helpful to impart some advice on gift giving. We got some outstanding gifts for our wedding (which I know is obnoxious to say since I picked them all out), but there are some that I use unexpectedly over and over again. 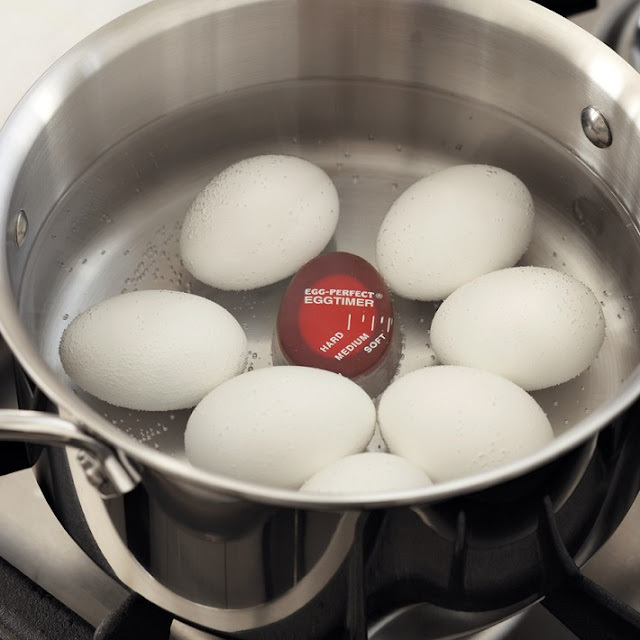 Here is the Egg Perfect Timer. I use this thing all the time. I love eggs - anyone who knows me or this blog knows I love me some eggs. Poached, hard boiled, soft boiled, medium boiled, inside out, outside in (kidding)...I love 'em all. This little tiny $6 tool has made my life much, much easier. All you do is throw it in the pan with your eggs like below and once the inner egg contracts to your desired doneness - you're, well... done! I like to make soft boiled eggs and then smash the egg on buttered toast sprinkled with garlic salt. I know. I'm a genius. I use my small whisk at least once a day. I use it to whip up a dip, blend a quick homemade salad dressing, or pull together a delicious Hollandaise. 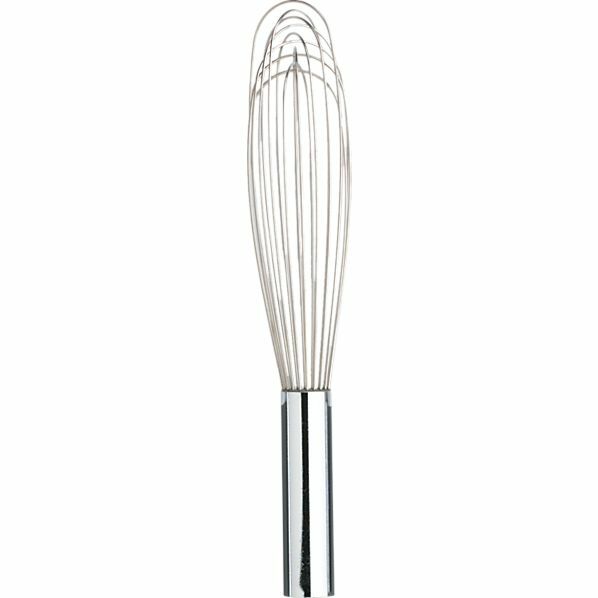 This is the Small French Wire Whisk I have from Crate & Barrel. Be still, my little chefy heart. When I cooked with my Mom as a child, I would like to measure everything out into individual bowls prior to cooking like they did on TV. It could be 3 ingredients or 30...it didn't matter. My poor Mom. Every time I cooked with her it would be about 14 additional loads of dishes. As an adult, I still love having a variety of different bowl sizes but I use them in a much more sensible way. For example, I use the smallest one for soy sauce, some of the medium sized ones for an individual salad, guacamole, or dip, and the larger ones to toss pasta, marinate meat, or to store a large potato salad. They are easy to stack, and are both microwave and dishwasher safe. I also bang them around like King Kong and they've stayed in perfect condition. LOVE. 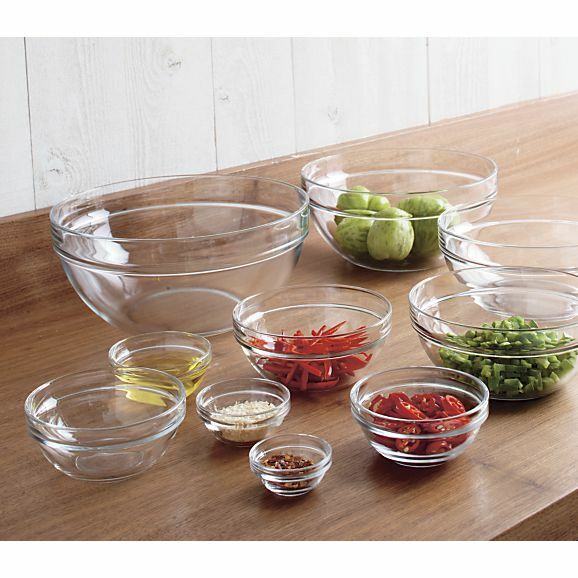 I have the 10-piece glass bowl set from Crate & Barrel. Do yourself a favor a buy this set for yourself or a loved one. It's $30 bucks. 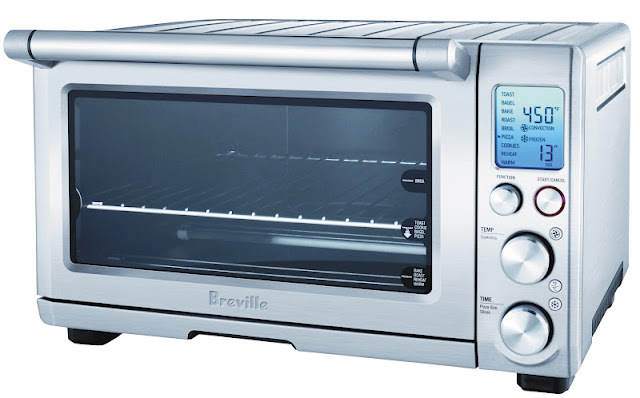 The next item we use nearly every day is our Breville Countertop Convection Oven. It's perfect for toasting bread, heating up a pizza, or cooking an appetizer when my oven is occupied with the main event. I am not a big microwave person. Crunchy is good. Soggy is bad. It heats up super fast and is surprising large. Look out for this beauty in some of my food shots - it's a permanent fixture on our counter. Last but not least, I couldn't live without my 10" Staub Fry Pan. Nothing browns sausage, hamburger, or any meat for that matter better than this guy. Because it's so heavy and already seasoned, it cooks perfectly even every time. It also takes a lickin' and keeps on tickin'. Nonstick pans are great, but they have to be babied. This extremely durable but is also easy to clean (or so Charlie's told me). Ok folks...that's all I got! 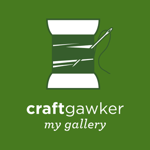 Check out my tools of the trade and let me know what you think. Do you have any tools you can't live without? Let us know and stay hungry!